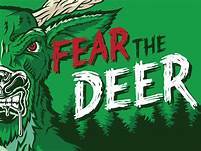 The red hot Bucks are in the Metroplex Friday against surging Dallas. Written by NBA Expert ATS Analyst Charlie Red McDougall. The (40-13) SU, (31-19-3) ATS Milwaukee Bucks took down Washington 148-129 as 12-point home FAVORITES ATS on Wednesday. January 6th for their fifth consecutive victory. Milwaukee owns the best record in the Eastern Conference with a 1′ game lead over Toronto and is 5′ games in front of second place Indiana in the Central division. They recently acquired sharpshooter Nikola Mirotic from the New Orleans Pelicans to make a postseason run. Milwaukee is 5-0 AGAINST THE SPREAD their last five overall. The Bucks are 4-0 ATS their last four on the road. Milwaukee is 0-4 AGAINST THE POINT SPREAD their last four in Dallas. UNDER bettors have cashed in four of Milwaukee last seven on the road. 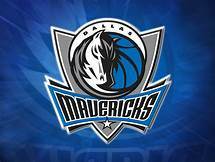 The (25-28) SU, (31-19-1) ATS Dallas Mavericks took down Charlotte 99-93 as 5′ point home FAVORITES ATS in their last game. Owner Mark Cuban has the franchise looking promising for the future with the acquisition of former Knicks star Kristaps Porzingis. For now, the Mavericks will make do without point guard Dennis Smith Jr., Wesley Matthews, Harrison Barnes, and DeAndre Jordan. All four were part of a busy trade deadline for the organization. Dallas is 5-0-1 AGAINST THE SPREAD their last six following an ATS cover. The UNDER is 4-1 Dallas last five at home. Dallas is 16-5-1 ATS their last twenty-two games teams at home. bettors have cashed in 5 of the last seven between the teams. Friday’s game is 8:35 PM EST at American Airlines Center in Dallas, Texas. The local television network will be broadcasting. The Betting Line has Milwaukee as 7′ point road FAVORITES ATS. The TOTAL is 222′ points for Friday’s contest. The Milwaukee Bucks look for the season sweep over the up start Mavericks, they won in 116-106 back on January 21st in America’s Dairyland. Many experts around the NBA has the Bucks playing in the 2019 Eastern Conference finals; after all, they’ve swept Golden State this season. Head coach Mike Budenholzer has fans in Milwaukee excited moving forward and why not, they’ve also taken down all the elite teams in the East and seem to be the most consistent contender for the Larry O’Brien trophy. Giannis Antetokounmpo (27.0) ppg is the leader of the league’s second ranked scoring offense (117.8) ppg while they allow opponents (107.6) points per game. The Bucks also lead the NBA with (48.7) rpg. Point Guard Malcolm Brogdon distributes the ball evenly throughout the rotation, and it shows with (26.5) assists per game among the top five in the NBA. Milwaukee shoots (48.2%) from the field which ranks second league-wide while the (13.3) three-pointers per game is 11th. All five starter for Milwaukee average double figures in scoring while George Hill, and Tony Snell, are significant contributors off the bench. With less than a week before the All-Star break, the Bucks want to keep their momentum by executing to perfection. Getting the newly acquired Mirotic acclimated into the system is a priority. The top team of NBA handicappers is 7-1 going on or against Milwaukee on Betting Predictions this season, and we have a FREE PLAY on this game. Bovada.Lv list the Milwaukee Bucks win total at OVER 46′ for 2018-19. Dallas Mavericks owner Mark Cuban is a hands-on owner who has had success with European players. Dirk Nowitzki brought an NBA title to the city, but his era is coming to an end. However, rookie Luka Doncic, a team, leading (20.6) points per game has turned head at nearly every NBA arena in the league this season. To upgrade the roster they traded for former Knicks star Kristaps Porzingis who is also from abroad. Head coach Rick Carlisle can’t wait until next season when Porzingis is fully recovered from a knee injury that keeps him out this season. For now, he’ll make do with the current roster. Dallas averages (109.1) ppg on offense which ranks 20th in the NBA with the (108.4) ppg they allow opponents are coming in at 10th. Dallas shot (41.4%) from the field in the earlier contest between the teams and took a 57-59 lead into the half. The second half the Mavericks allowed too many second-chance points under the basket, it’s wah the Bucks do well. Sports Handicapper Charlie Red McDougall believes without Deandre Jordan to grab rebounds tonight the results could be similar as the Mavericks are in disarray acclimating new players into the rotation. However, they should be able to get the POINT SPREAD cover the 8 points at home. Bovada.Lv list the Dallas Mavericks win total at 34′ games for 2018-19. Free Pick. Dallas+8 Points. Also Play Online Poker Plus Other Casino Games and enter some of the best Tournaments on the World Wide Web. This entry was posted in basketball, gambling and tagged #2019Bucks, #americanairlinescenter, #bettingtips, #charliessports, #dallas, #fearthedeer, #freepicks, #mavericksbasketball, #milwaukee, #PayPal, gambling, nba. Bookmark the permalink. ← Timberwolves travel to the Sunshine State to face Magic Thursday.